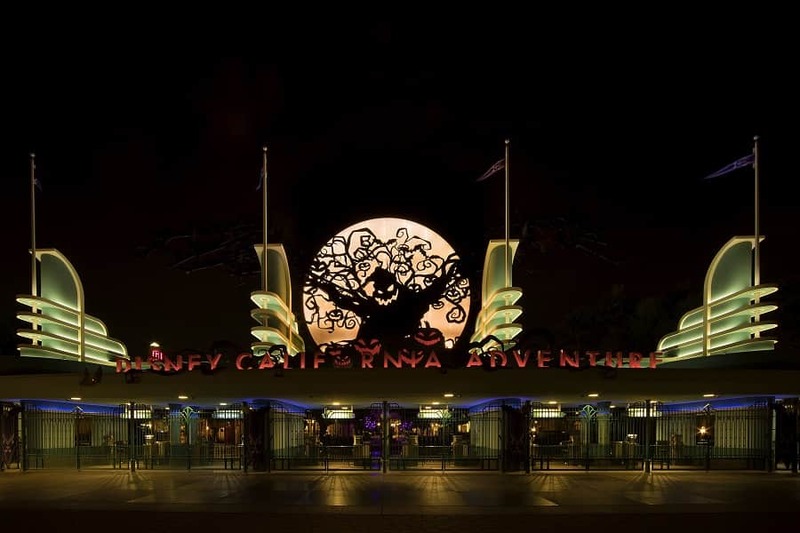 If you are looking for a spooky good time this fall and are in California, head over to Disneyland’s Halloween Time. 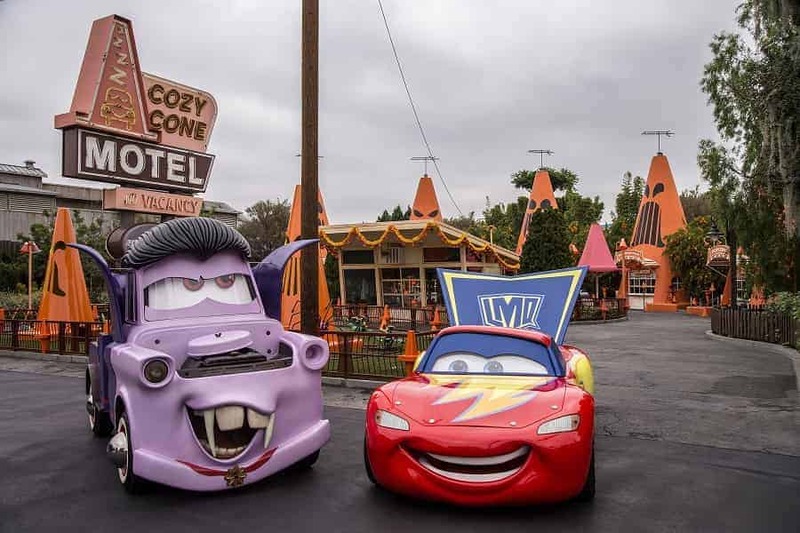 Beginning Sept. 7 and running through October 31, 2018, both both Disneyland Park and Disney California Adventure Park will be filled with Halloween-themed décor, fun meet & greets and specialty food and beverage offerings! 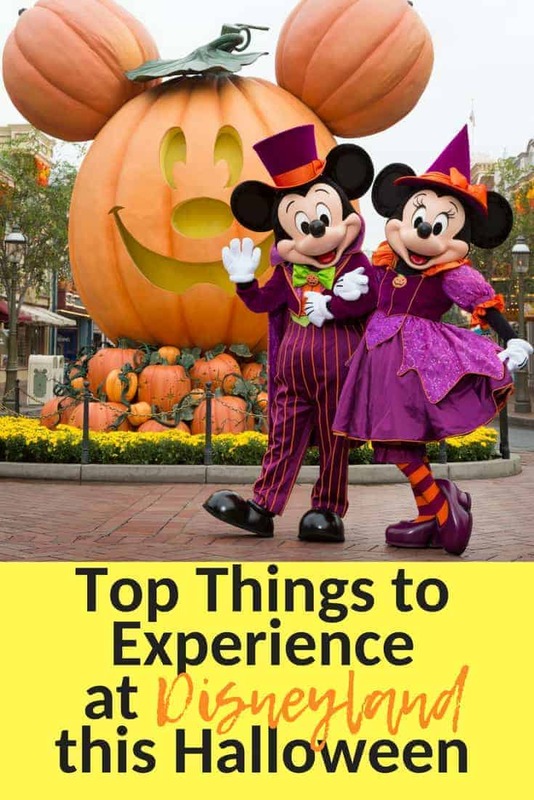 There are so many things to experience at Disneyland’s Halloween Time, that you won’t have any trouble keeping busy! 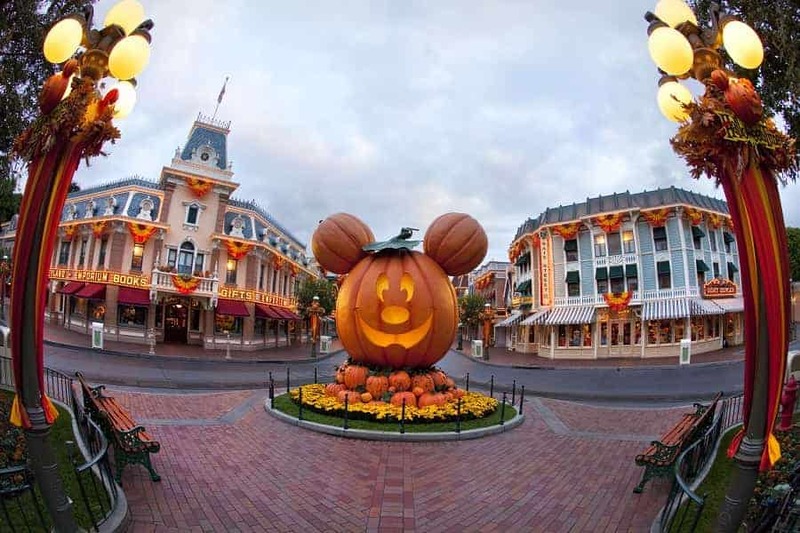 Disneyland’s Halloween Time begins on Main Street, U.S.A. where you will find a giant Mickey Mouse jack-o’-lantern and a Pumpkin Festival. During the day, you will find all sorts of holiday decorations featuring Halloween items like jack-o-lanterns, candy corn colored banners, and spooky window displays. At night, you’ll find things lit up in yellow, purple, green and orange glowing lights! Space Mountain in Tomorrowland becomes Space Mountain Ghost Galaxy. Guests on board the speeding Space Mountain vehicles are thrust into a ghostly galaxy where they will hear eerie screams & spooky sound effects. You never know what you might encounter as you go, so keep your wits about you! Oogie Boogie takes over California Adventure park and you’ll find plenty of Halloween decorations extending down the streets. Be on the lookout for a 10-foot-tall statue of the Headless Horseman! 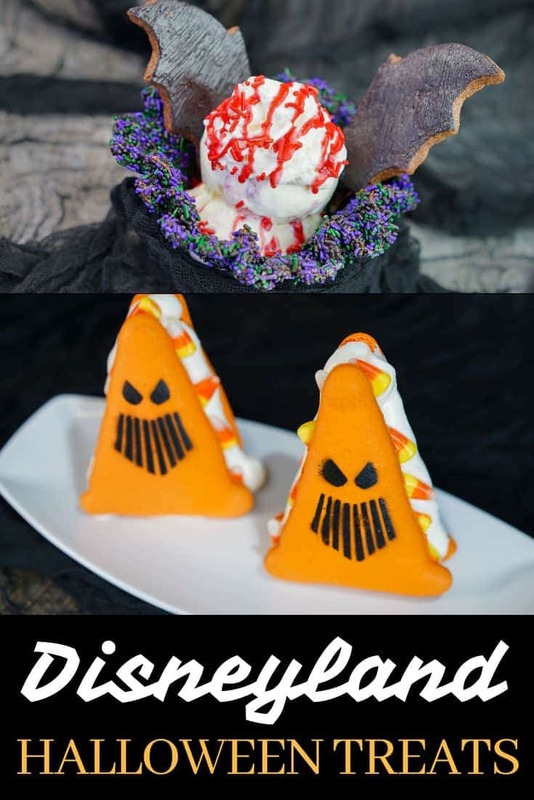 If you are looking forward to Disneyland’s Halloween Time desserts, you won’t be disappointed. Guests will find new Halloween-themed treats throughout the parks. You’ll find such goodies as Spoke-y Cone Macaroon, Oogie Boogie Crispy Treat and Bat Wing raspberry sundae! During Mickey’s Halloween Party, guests will also get to see the “Frightfully Fun Parade” led by The Headless Horseman of Sleepy Hollow. The parade will feature all your favorite Disney characters dressed in their costumes along with such Disney favorites as Vampirina, Jack Skellington and hitchhiking ghosts. 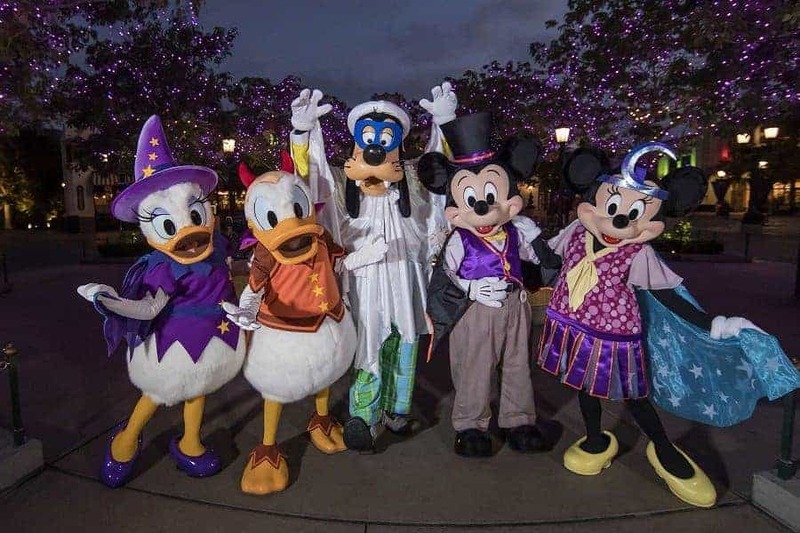 If you love meet & greets, Mickey’s Halloween Party will give you the chance to meet characters you don’t normally see, like the Disney Villains. You can’t help but get in the spirit during Disneyland’s Halloween Time! Will you be going this year?